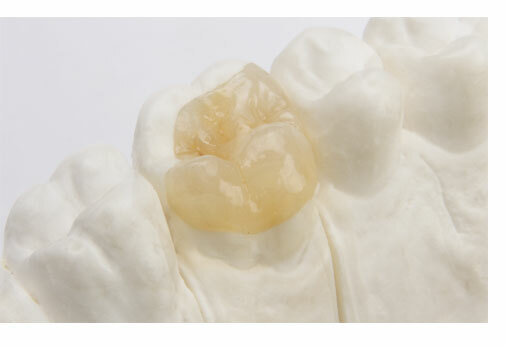 We construct our composite restorations using the Ceramage system from Shofu. This “new generation” composite is light and vacuum cured, and exhibits not only high strength and accuracy, but also good vitality and polishability. As well as Inlays Onlays, Veneers, Crowns and Bridges and Maryland type bridges (strengthened using Stick Tech fibre re-enforcement). Stick Tech fibre re-enforcement is a system which uses pre-impregnated fibres, to drastically increase the flexural strength of modern composite materials i.e. Ceramage. This strength in thin section enables the construction of conservative restorations e.g. 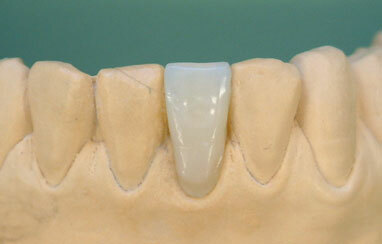 Maryland type bridges and Posterior Bridgework with Inlay retainers.